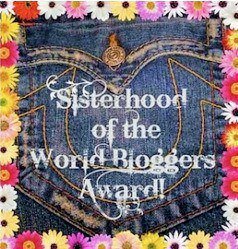 Thank you to http://leavingalegacyministries.com/ for nominating me for this award! I so appreciate it and am very encouraged by this…thank you so much! How long have you been living for Jesus? As a young girl, I always tried to do what I thought was right and do my best to live for Jesus but I would say I have been actively living for Jesus since I was 14 years old. Which do you enjoy studying most: Old Testamant or New? New Testament! What is your favorite song? I have too many to just pick one. A few of my favorites are “In Christ Alone”, “My Redeemer Lives”, “Amazing Grace” and “Jesus, Friend of Sinners”. What is your favorite scripture? This changes from time to time, I don’t really have one favorite but rather as seasons of life change, the scripture that I hold fast to during that time may change. Right now, the scripture that I’m holding to is Galations 6:9. What do you consider your biggest blessing? Salvation! Based upon your personality, who do you relate to most within the Bible? I would say, based on personality, I am a lot like Peter. I found this excerpt about him and feel like this fits me pretty well….Peter was enthusiastic, strong-willed, impulsive, and, at times, brash. But for all his strengths, Peter had several failings in his life. Still, the Lord who chose him continued to mold him into exactly who He intended Peter to be. I liked the first question so much that I am going to ask as well 🙂 Were you raised in a Christian home? What or who inspires you to blog? What type of music is your favorite? Are you actively involved in outreach? Have you ever been on or plan to go on a Mission trip? What is your favorite way to witness to others about Jesus? Have you ever experienced writers block? If so…what are some things that help you when you experience writers block?